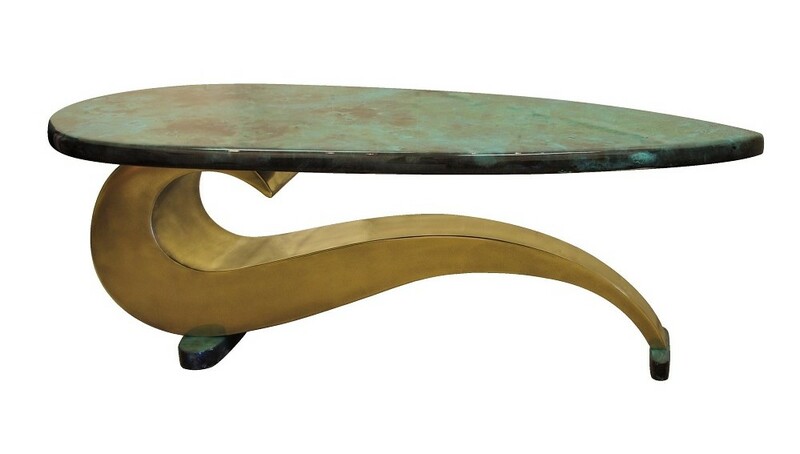 Brass Coffee Table ‘Paisley’ is a real statement piece with a bold design and lush finish. Base – steel box construction finished to the required spec. 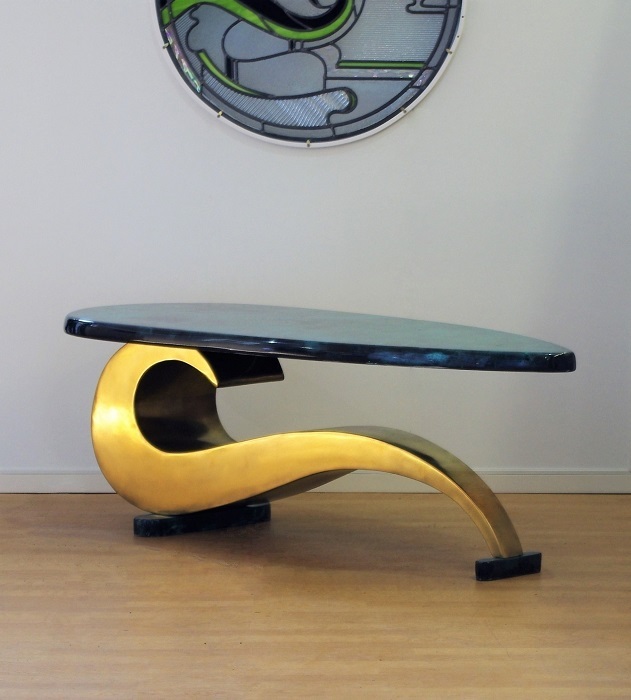 Top – composite hand paint finished to required spec or solid wood top option. Feet to match chosen top. Dust base regularly and only if necessary, wipe clean with a damp cloth, buff after with a dry cloth. Avoid placing sharp objects on the table top to prevent scratches. 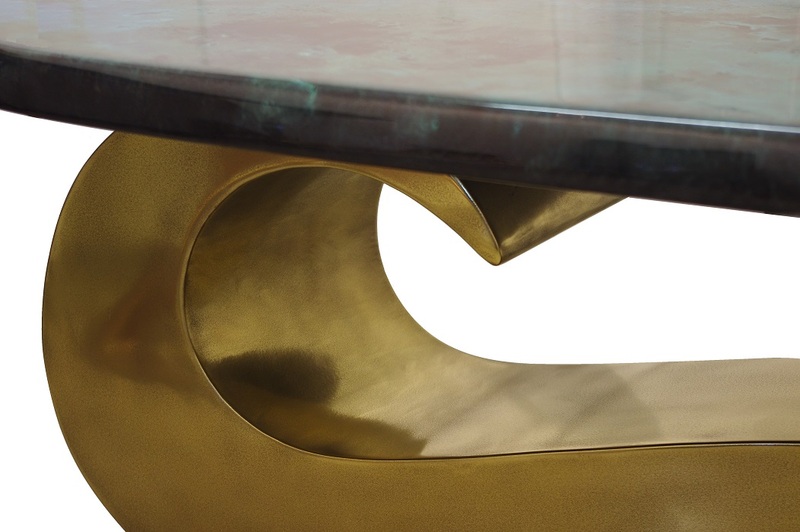 This brass coffee table oozes style. The table base is carefully constructed. Drawing inspiration from the ornamental swirl of the iconic Paisley pattern and sits upon Amazonia finished block feet. The stunning Amazonia teardrop top has a glass like shine that reflects multi-layered rich rainforest tones. Amazonia is an exclusive finish created by Chris Bose and used uniquely within the Chris Bose furniture workshop. Alternative finishes are available. Choose mirror polished stainless steel for an ultra-contemporary look and team with Amazonia or black gloss to complete the look. 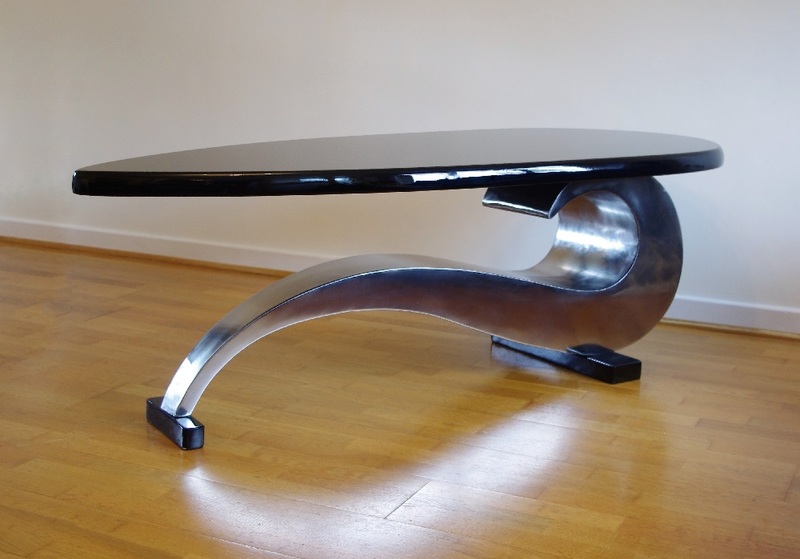 A walnut wood top teamed with a bronze or stainless steel base will offer a classic sophisticated feel. 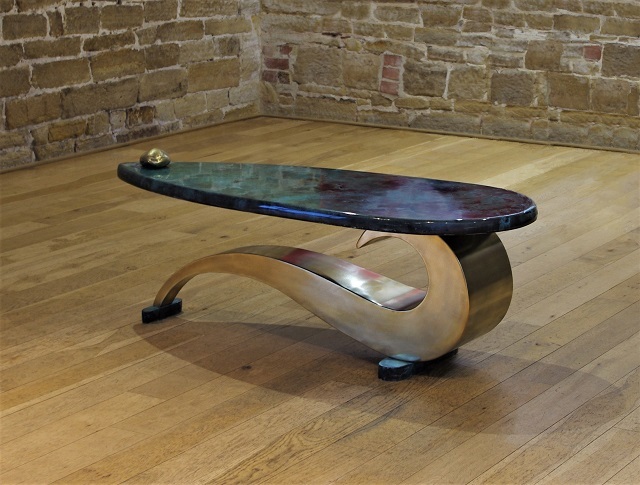 More coffee tables you might like..